Cylla von Tiedemann is a German-born photographer living in Toronto, Canada. Throughout her dynamic career her camera has been seduced by the performing arts: dance, theatre, and music. Renowned for her dance portraiture and live theatre photography, she is also a respected visual designer for the stage. Cylla has collaborated with artists around the world, including France, Germany, India, Japan and the USA. 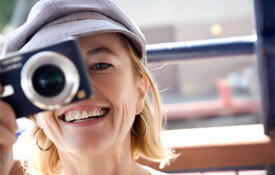 She has presented creative workshops at multiple universities in Canada and teaches photography workshops in Toronto. Cylla’s images have been exhibited internationally and are part of many private and corporate art collections. “The Dance Photographs of Cylla von Tiedemann”, a publication from the National Arts Centre, recognizes her vast contribution to dance photography. When Cylla is not making pictures she studies and consults in astrology, practices yoga and dance, and explores cultural events. focused in the ‘here and now’.